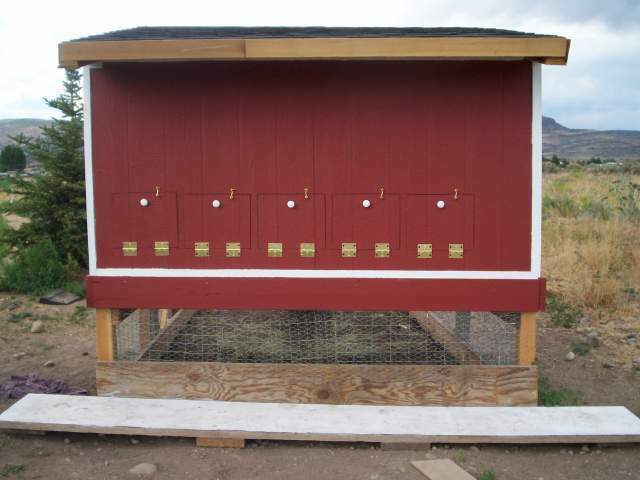 We just finished our coop and just in time too, the chickens are ready to go in. We kind of named it Barn-coop. I love the look of a barn. We built our home a year ago and had left over wood, mostly 2x4's. I had my husband and father-in-law help me. 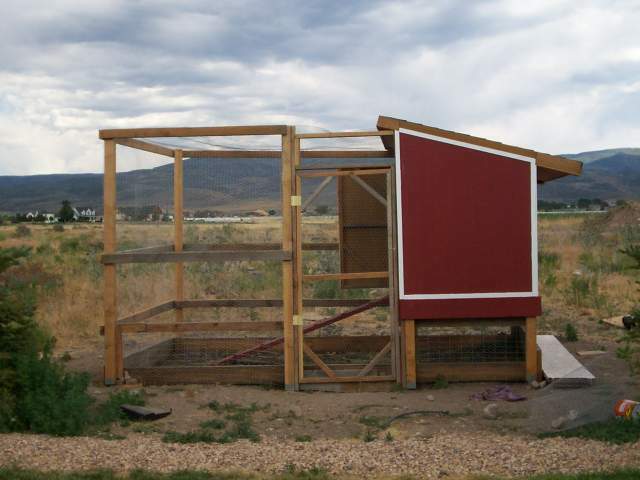 It was our first time building a coop so we sort of winged it (pardon the pun). 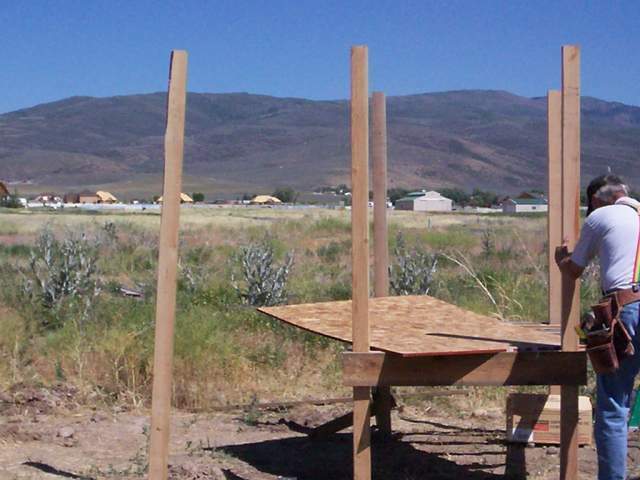 We cemented in four posts then while the posts were drying we framed in the coop using two of the end posts. The other two posts are for the yard. We used T-1-11 wood on the outside to make it look more wood like. There are 5 nesting boxes inside, so hopefully we can eventually have 10 or so chickens, we have 7 right now. 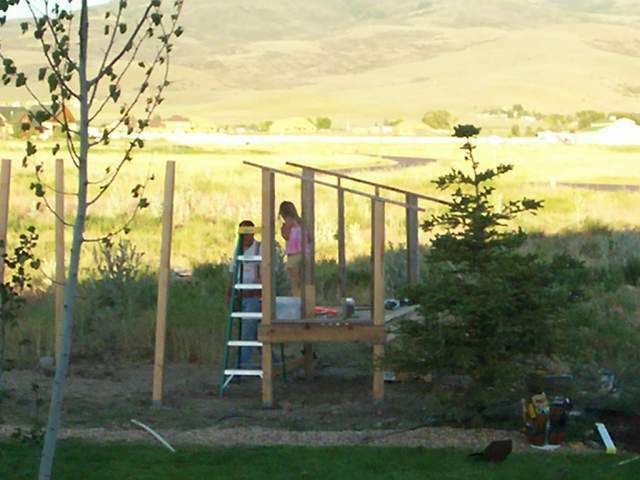 We made a yard attached to the coop, and we had the yard go under the coop for some shade. We live in the mountains and have alot of land and with that comes alot of animals so we layed down hardware cloth for the bottom of the yard so skunks, fox and badgers won't get in. 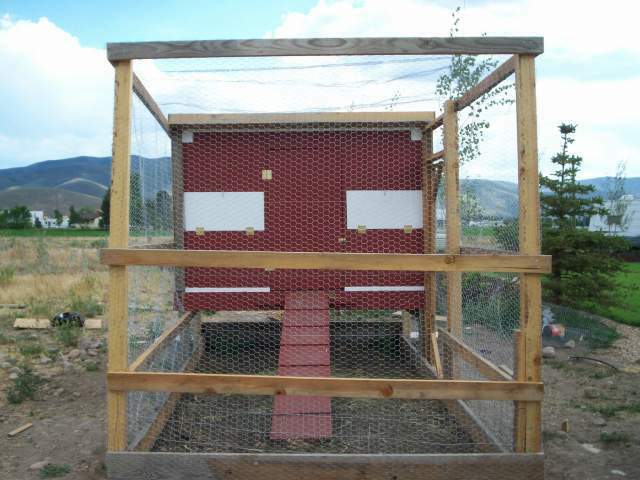 We also enclosed the top of the yard with chicken wire and of course all around the yard. 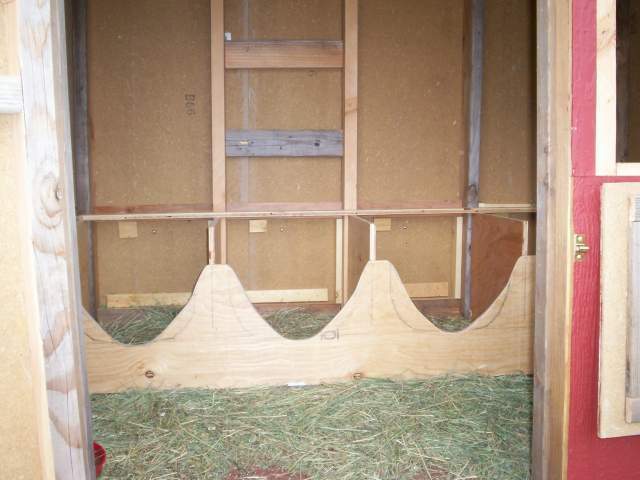 The back of the coop we put in little hatches to get the eggs out. We made a long bench for the kids to stand on to reach the eggs. A little tip- we added sand (you can buy at any hardware store) to the remaining paint and painted the ramp so in bad weather we won't slip on it. We are having so much fun with these chickens. This is our first time with all of this and Backyardchickens have been so helpful. Nice coop. Looks good but more detail would be great. I would like to see a little more of the build and details why you built things a certain way. oops i mean grab. and btw I LOVE THIS COOP! 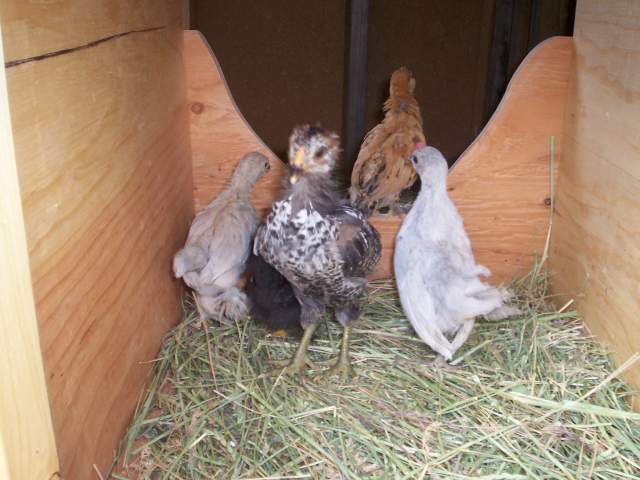 I LOVE the color your chicks are! But, just wondering, the way you would collect the eggs, you would have to go INTO the run, open the door, then reach in and just brag them out?